Cruises are no longer just for wealthy pensioners in pearl necklaces. 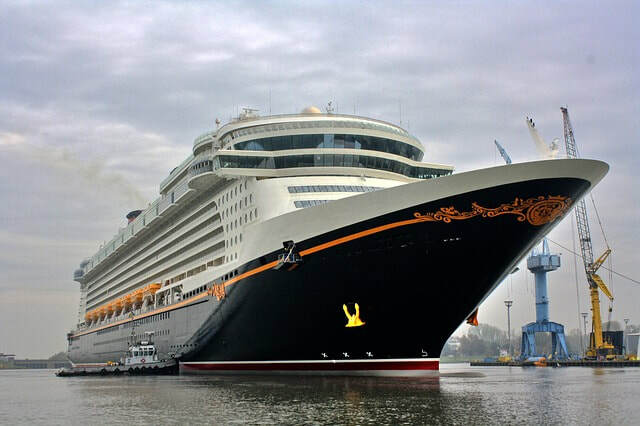 Nowadays, there are several cruise lines offering cruises for kids and families with a busy schedule of activities. We’ve picked out five of the best cruise lines for kids, most of which depart from the UK so you won’t have to endure a tedious flight with children before your holiday starts. 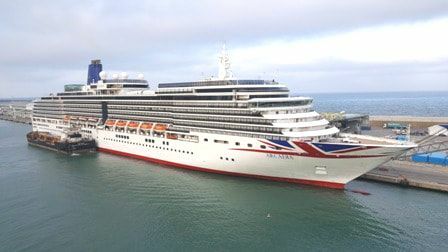 P&O has the best choice of no-fly cruises from Southampton that we’ve found, with 200 routes to choose from on their large family-friendly ships. Onboard, they run free kids clubs in four different age groups for 2 to 17 year olds and there’s a ‘night nursery’ for younger children. The bigger ships have 10 different places to eat, so you can hopefully find somewhere suitable for your four year old who is going through a phase of only eating pasta and ketchup. There are also ‘splash-zone’ type swimming pools, so your child won’t be interrupting anyone’s swimming lessons. Most importantly for teenagers, there is wifi, although you do have to pay extra for that. P&O customer reviews are generally around 4/5 and they won Best Family Cruise Line at the British Travel Awards 2017. You’ll find P&O prices are somewhere around mid-market. Some cruises have discounts for 3rd and 4th passengers, which makes it more affordable. Royal Caribbean regularly wins awards for their family friendly cruises, including Best Family Cruise Line at the Wave Awards 2017 and 2nd Best for Families at the Cruise International Awards 2017 (Disney was the winner). Overall customer reviews are around 4/5. There’s certainly no time to get bored on their huge cruise ships, with unusual activities designed to make them stand out. Activities vary from ship to ship, but some include a surf simulator, skydiving simulator, roller disco, waterparks, rock climbing, zip lines or mini golf. Most things are included in the price so you won’t be constantly negotiating with the children about what they are allowed to do. Dining is mostly family-friendly and simple, rather than fine dining. Kids' clubs and childcare are available from 6 months to 17 years. Children are split up into several age groups, and there’s also a babysitter service. The company also has section on its website about kids clubs for children with special needs, and according to the website it became ‘the first Autism Friendly Cruise Line in February 2014’. There are regular deals where the 3rd and 4th passengers in a cabin get a big discount, so you can make it a relatively cheap holiday if you don’t mind getting cosy. If you’d rather avoid flying, there are two Royal Caribbean ships from Southampton (at the time of writing) with a choice of 25 destinations including the Mediterranean, Scandinavia and Ireland. They’re also one of the only cruiselines I’ve found which has thought of what they can offer 18-20 year olds (presumably others assume that an 18 year old would enjoy following their parents around). At the time of writing, there are kids areas for 3-7, 8-12, 13-17 and 18-20 year olds. There are also activities themed around science and animals, as well as games consoles, sports, crafts and dance classes. There are parties and movies for teenagers. As far as I can tell, there aren’t any childcare facilities for under 3s with Princess Cruises, though perhaps someone can correct me. There are various fancy dining options, but there is a casual dining place which would certainly be my choice with children. Marella was previously called Thomson Cruises and it offers kids' clubs on all its ships. They split the age groups depending on who is onboard, but expect things like arts and crafts and movie nights for 3 to 12 year olds. For teenagers, there’s a reserved space and various sports onboard. For under threes there are baby classes with parents. There are buffets for those who’d rather avoid formal dining and some of the shore excursions are family friendly with things like visits to waterparks. Overall Marella gets reviews of about 4/5 from customers. Typical price: £3300 for a 7 night cruise to Norway from Newcastle for a family of four in July 2018 (during the school holidays), sharing a cabin with a balcony. Disney Cruises get really good reviews (4.5/5) and they won Best Large Cruise Line at the Telegraph Travel Awards 2017. However, they’re not cheap and they have a very small range of no-fly destinations from the UK. Onboard there’s a nursery, as well as ‘youth clubs’ for 3 to 12 year olds and another for teenagers. Activities include things like karaoke, teenagers’ discos, ‘interactive play spaces’ and ‘character experiences’. Families can also use kid-friendly swimming pools and watch open air ‘deck parties’ with music and dance shows. You can pick from one of several dining options, including a casual buffet which would certainly be my choice with the children in tow. If you get any time away from the children, there are spas and fitness centres (personally, I like to lie down in a darkened room when someone else is looking after the children). There are also themed cruises based around Star Wars or Marvel, which will appeal to those who can’t tolerate too many Disney Princesses. The choice of destinations is a bit limited if you would prefer not to fly beforehand. When I checked, Disney cruises from the UK either involved a big loop of the British Isles or a trek across the Atlantic. Typical price: £6000 for a family of four sharing a cabin with a balcony and cruising from the UK to New York in September 2018. 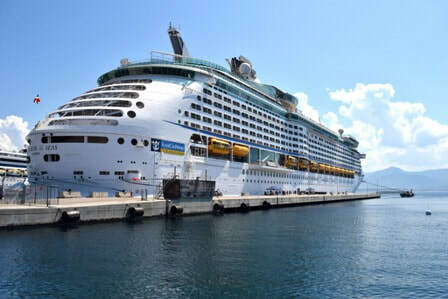 The Best Cruises Guide Dont-Blame-Us-Disclaimer: facilities, onboard activities and prices were correct when we checked, but things change all the time so please check details direct with cruise lines. Bear in mind that some cruise lines are more 'inclusive' than others, so will add extra charges later. We just looked for the basic price, which usually includes food but doesn't include alcoholic drinks or excursions (although there are exceptions). Some of the links on this site are 'affiliate links' meaning we may receive commission from the seller, at no cost to the buyer. However, we maintain full editorial control and only recommend cruises based on merit rather than whether they offer commission.